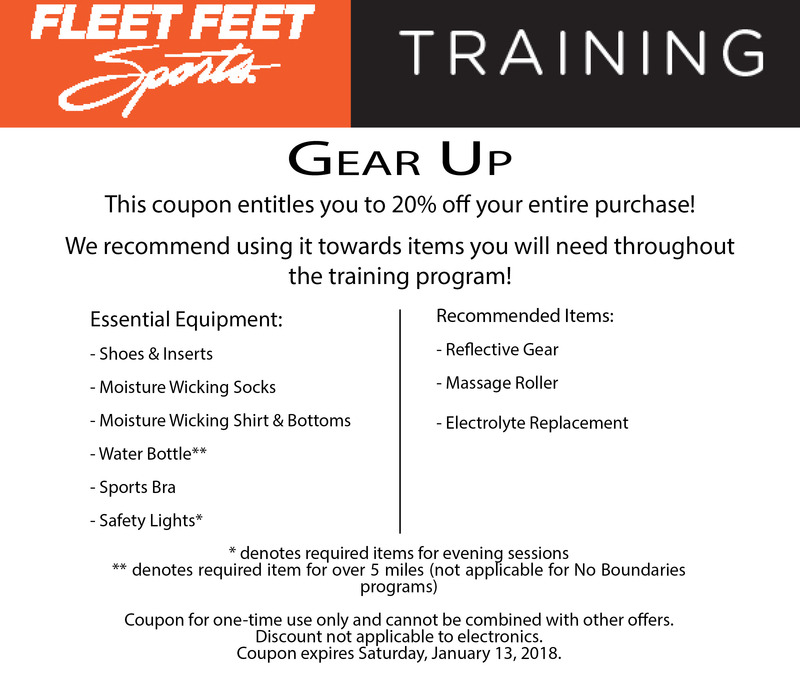 Gear Up offers our Half Marathon participants the opportunity to shop at 20% off in the store to "gear up" for the 12 week training program. This 20% off discount is a one-time use coupon and excludes electronics. Please have this coupon with you!